The eye movements that indicate whether someone is thinking of you as a friend or potential lover. 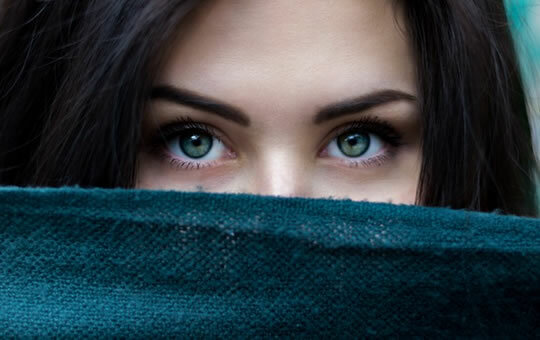 People’s eyes scan our bodies differently depending on whether they want to date us or just be friends, new research finds. The study tracked the eye movements of 105 heterosexual young people as they looked at photos of strangers. Both men and women looked more at the head and chest of a person they were considering dating, the study found. In comparison, they looked more at someone’s legs and feet when they were contemplating friendship. There were some interesting differences between the gaze of men and women. When women looked more at the head, it was more likely to indicate an interest in friendship. Although women look more at heads in any case. For men, though, looking at the head was linked to less interest in friendship. “However, men generally looked most at the chest and waist-hip region, regardless of whether they were judging friendship or dating potential, while women looked most at the chest and head. Women who were single looked more at the pictures. Looking at the centre of the body — the waist, legs, hips and chest — was linked to more general interest in that person for women, whether romantic or platonic. “…suggests that people scan others for cues differently, depending on what they’re seeking regarding the role others may play in their lives. Research on attraction tends to assume there is a fixed set of characteristics that makes a person desirable. This new study shows that what people look for in a prospective relationship partner depends on their relational goals. The study was published in the journal Archives of Sexual Behavior (Gillath et al., 2017).